The Pourover is a unitized in-floor pit enclosure that allows access to refrigeration, electrical, plumbing, pump and many other mechanicals. Its unitized construction provides for a One Step installation that’s fast and easy, reducing your labor cost. Installers like its workability and ease of handling. Cutting etrations will not compromise the liner strength. No special site preparation is needed, just place the unit on a solid substrate base that’s free of piercing objects. Securing rods stabilize the unit until backfilled and the concrete floor is poured. The provided wood pourstop creates a concrete stop to prevent wet cement from entering the unit. 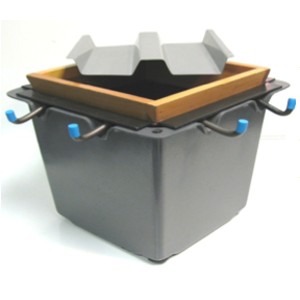 The provided blocking is designed to allow for a 4” poured cap if it is to be used. The pourstop has been designed with a 10 degree taper, this helps avoid settlement of the cap at a future time. Model POL combines the frame and liner assembly that can, with the use of a ribbed steel cover, create a completely hidden unit. 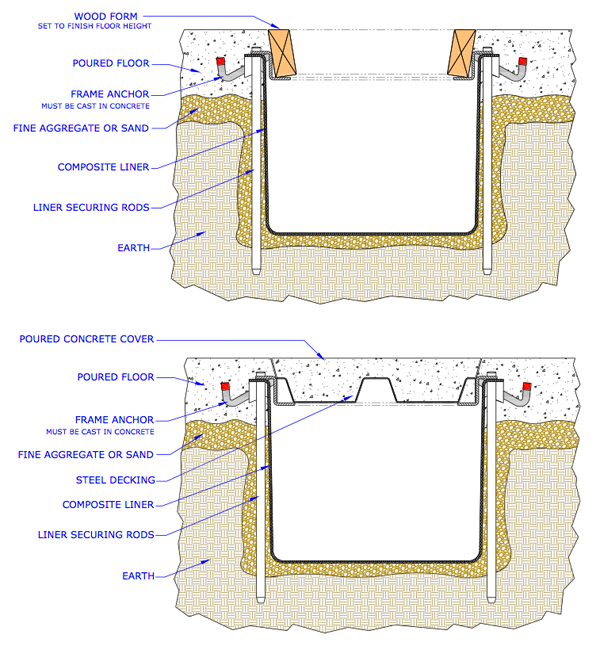 After all necessary work has been performed in the unit a concrete cap is poured over the opening forming a non-accessible enclosure. 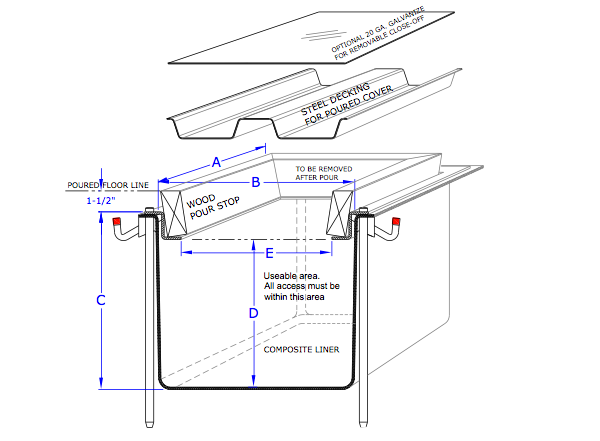 Unit can also be left accessible or accessible through a non-load bearing galvanized steel closeoff. Actual Size 12-13/16" 18-3/4" 24-7/8" 30-3/4" 36-11/16" 42-5/8" 48-9/16"
Nominal Size 54" 60" 66" 72" 78" 84" 90"
Actual Size 54-1/2" 60-7/16" 66-3/8" 72-5/16" 78-1/4" 84-3/16" 90-1/8"
Overall Depth of Composite Liner "C"
Useable Depth of Composite Liner "D"